As technology and Fire Codes have changed, building owners and Fire Departments have become more aware of ULC fire alarm monitoring and fire sprinkler monitoring. This means that the people who are responsible for the fire safety are becoming much more aware of what goes into ULC-S561 fire alarm monitoring installations and equipment, as well as how these systems communicate to their chosen monitoring provider. What many business owners don’t know, however is that there is a better way to provide fire alarm monitoring, and that is through OPEN ACCESS™ fire alarm monitoring. OPEN ACCESS™ fire alarm monitoring electronically retransmits fire alarm signals from ULC-listed Signals Receiving Centres (SRC – Like Fire Monitoring of Canada’s) to the appropriate fire dispatch centre. This means that the signal is routed through the SRC and delivered directly into the fire department’s Computer Aided Dispatch (CAD System). There are many reasons why this is a better service than “traditional” ULC fire alarm monitoring, which requires a phone call from an SRC operator to a fire department dispatcher. 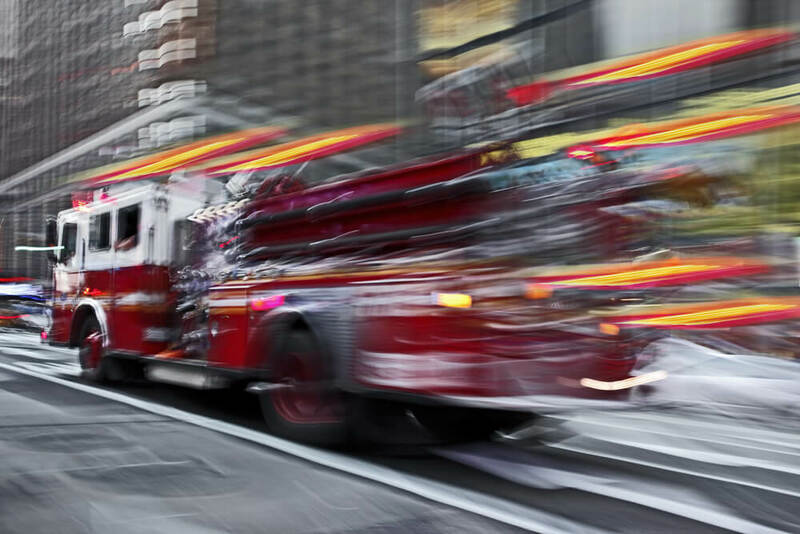 OPEN ACCESS™ has been independently proven to reduce fire department response times for fire monitoring systems by up to 2 full minutes. You can click here for a white paper proving this point. In a “traditional” ULC fire monitoring situation, an alarm signal is sent to the SRC, which must be manually handled by an operator. That operator must pick up the phone, dial the fire department and verbally report the fire alarm and building information to a fire department dispatcher. The Fire Department dispatcher must the manually enter in the information into the CAD in order to dispatch the trucks. As all of this data is electronically sent into the CAD system from the monitoring station, this entire process has been reduced. When you consider that fires double in size every minute after the first four minutes, improving response times by 2 minutes is a pretty significant improvement that can save property and lives. As you can see in the previous section, “traditional” ULC fire alarm monitoring has many parts, all of which are subject to human error. Miscommunication in the data between the SRC operator and the fire department dispatcher, typing errors in transcription of this data and even errors data input in the SRC can all lead to costly time delays and even the dispatch of trucks to the wrong address. Since OPEN ACCESS™ data is pre-verified with the Fire Department, and is electronically delivered to the CAD system, then chances of these human errors are significantly reduced. Since all of the “work” done by OPEN ACCESS™ is done in the ULC monitoring station, there is no need for any capital expense to get working on the system. This means that the ULC fire monitoring system you currently have in your building will work with the OPEN ACCESS™ service, regardless of how it communicates to the SRC. DVACs, digital dialers, IP, cellular and more all are able to accommodated on the system. As you can see there are many benefits to moving your ULC fire monitoring to an OPEN ACCESS™ set up. OPEN ACCESS™ is currently available in many communities throughout Ontario. You can speak with your current provider about this, or you can contact us, and we’d be happy to answer any questions you might have!